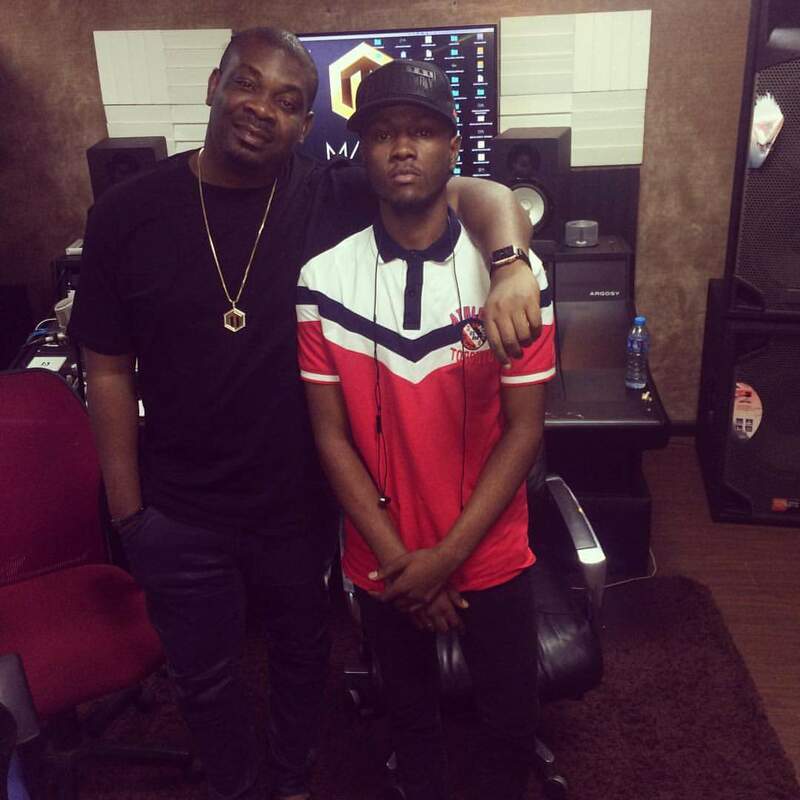 NEWS: CAMEROONIAN PRODUCER EDI LE DRAE MEETS SUPERSTAR DON JAZZY. THIS IS MIND-BLOWING ! 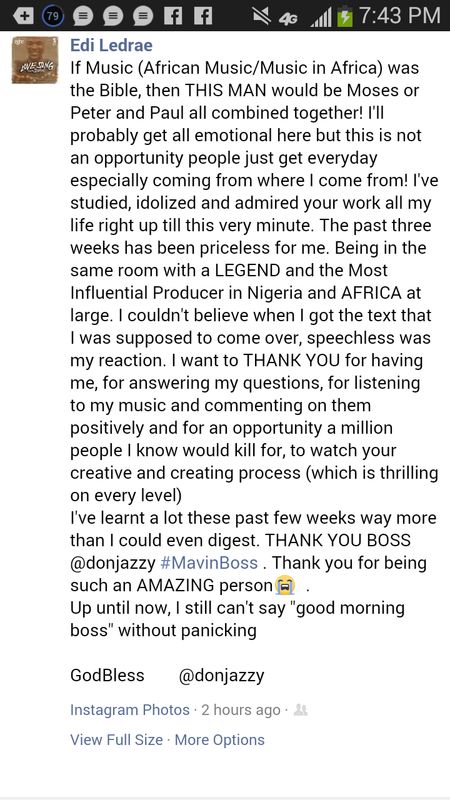 Adept Cameroonian producer Edi Le’Drae of 808 Nation has been in Nigeria for a while now. During his stay in Lagos, he was invited over by Mavin superstar producer Don Jazzy to his studio. 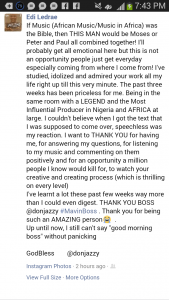 Remember Don Jazzy has been keeping a keen watch on Edi’s producing prowess and even followed him on Twitter. 808 Nation’s great vocalist Egbe joins creative power with ace singer Salatiel on this edifying and soul-touching acoustic tune titled “Love Song” . A beautiful production delivery by Percy, Edi Le’Drae, Salatiel and Egbe. Buea-based lyricist Chef Ali has collaborated with Edi Le’Drae on a trap tune titled “Hustle hard”. The opus talks about the struggle and state of mind in the journey to accomplishment . The hook is catchy and the instrumental on point. Drae Boii never fails in his delivery . Nabila debuted with “Turn up” and received acclamation across the urban music sphere. 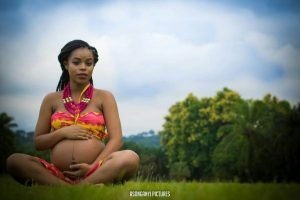 The model-turned singer has dropped a sizzling cover of Locko’s soul-searching tune “Sawa Romance” . The acoustic transposed cover was producer by Egbe. A few hours after, a photo of a pregnant and gorgeous Nabila has surfaced online posted by her boyfriend producer Edi Le’Drae . Nabila is a new prodigy from Buea . A protegée of the renown producer Edi Le’Drae, Nabila proves her versatility not only as a model and video vixen but a vocalist to reckon with. She signals her debut with a power rendition on a trap beat titled “Turn up” . Honed by Edi Le’Drae. Please listen and share ! !